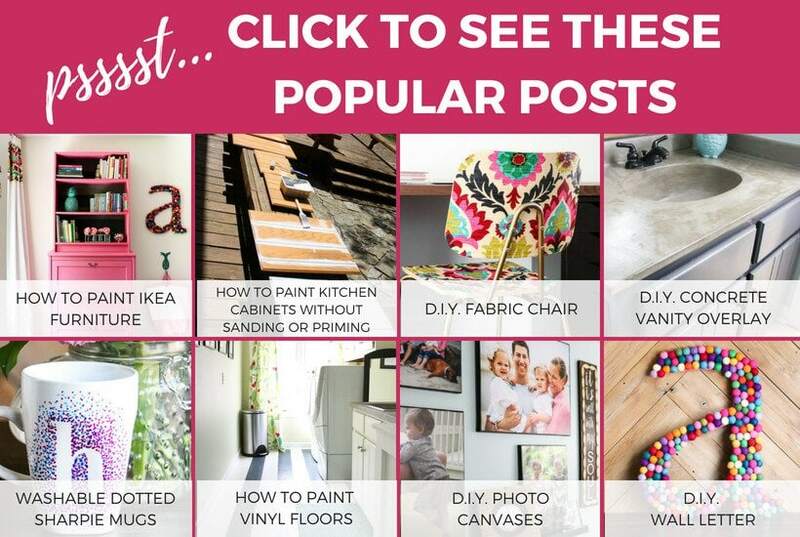 These Valentine's Day crafts are a fun and inexpensive way to add a touch of Valentine's Day decor to your home! Hello lovely readers! I am guessing that by now, you have all put your holiday decorations away. We put ours away on New Year's Day and it made me so sad to see everything put away. 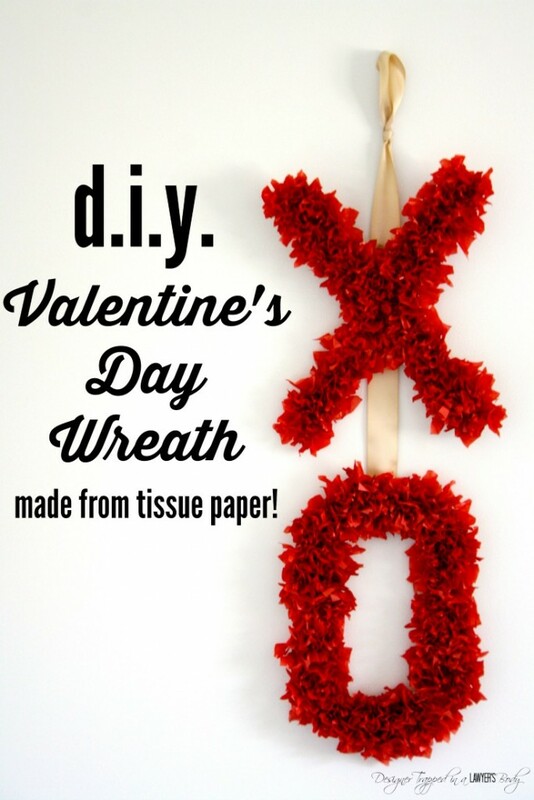 But, what cheered me up was thinking about Valentine's Day Crafts! 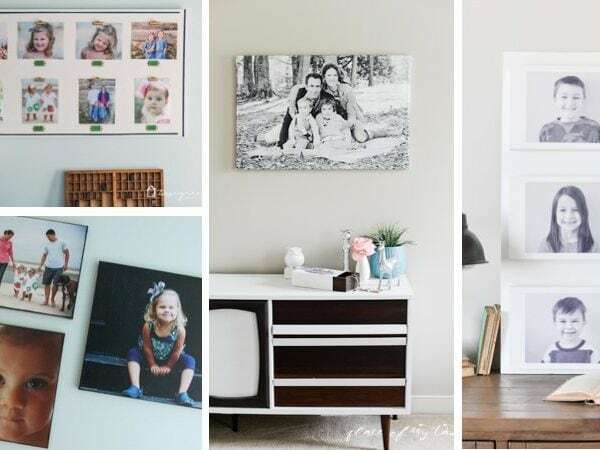 I don't go crazy with Valentine's Day decor, but with small girls in the house, it's fun to add some pops of Valentine's Day around the house. 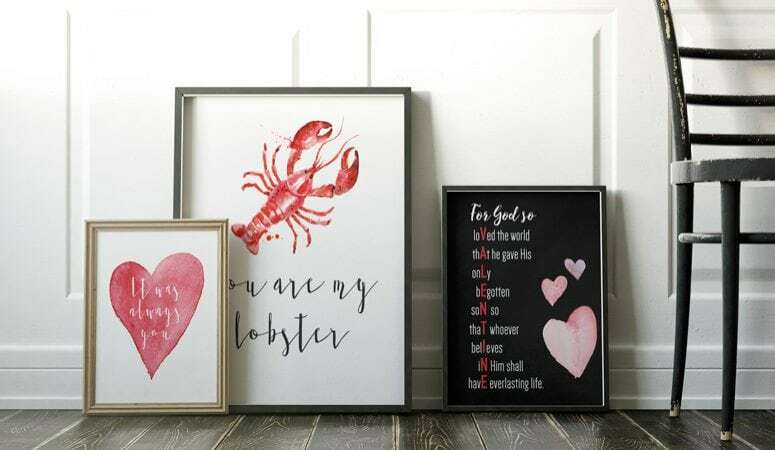 As usual, I started browsing Pinterest for some inspiration, and I just fell in love with these 10 Valentine's Day Crafts, so I wanted to share them with you! 1. Felt Heart Wreath by The Idea Room– I am loving this DIY felt heart wreath! 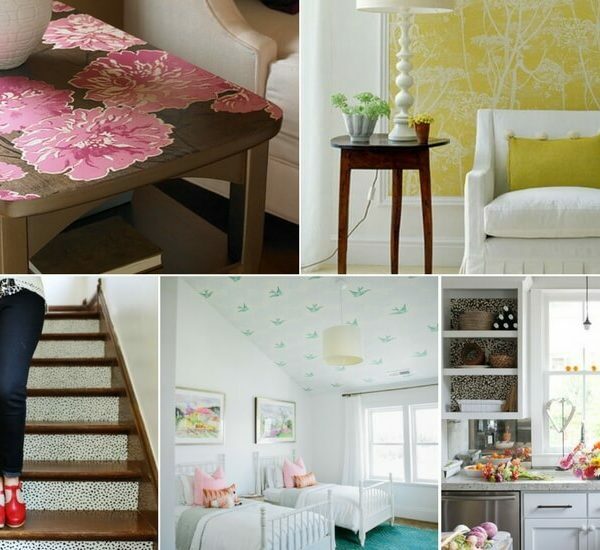 The tutorial by The Idea Room is clear with fabulous photos, so I am confident you can make one of these yourself. It is definitely going on my to do list. 2. 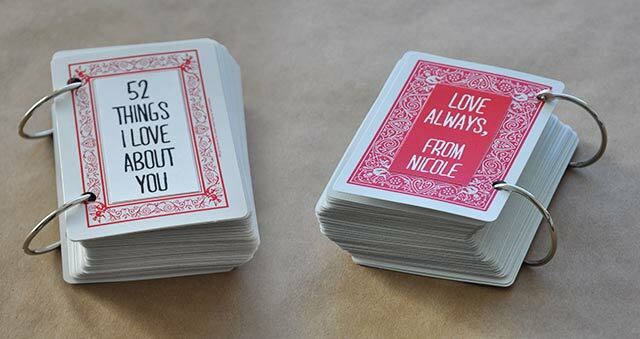 52 Things I Love About You by Visual Heart– I love this! Talk about giving a thoughtful, inexpensive gift in a very cute package. I can't imagine any man that wouldn't appreciate this, even if they do think it is kind of cheesy. 3. 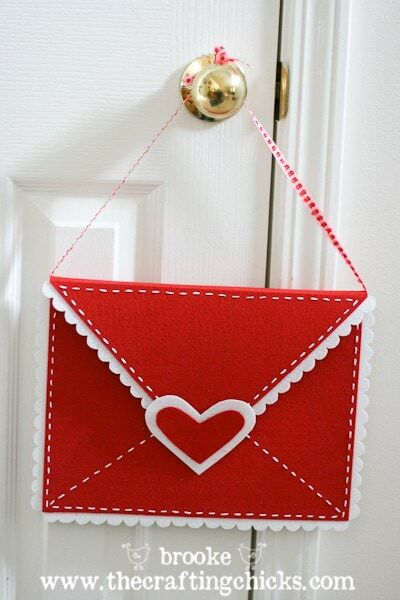 DIY Felt Valentine Envelopes by Crafting Chicks– I don't know if I will have time to make these for my girls this year, but they will definitely get done by next year. What an adorable way to deliver special Valentine's to your kids and loved ones! 4. 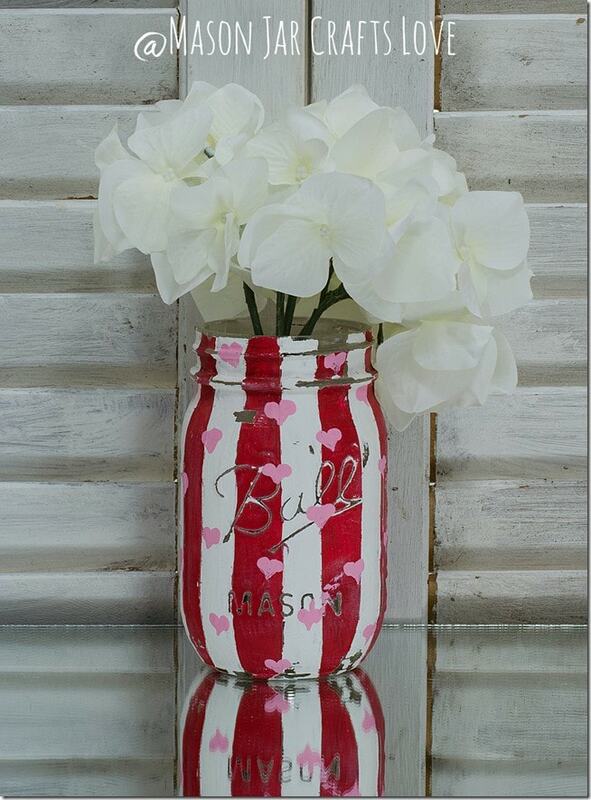 Valentine Heart Jars by Mason Jar Crafts Love– Ummm, how friggin cute are these?! Enough said. Love them. 5. Candy and Flowers for Valentine's Day by Evolution of Style– I can't even handle how simple, creative and beautiful this project is! 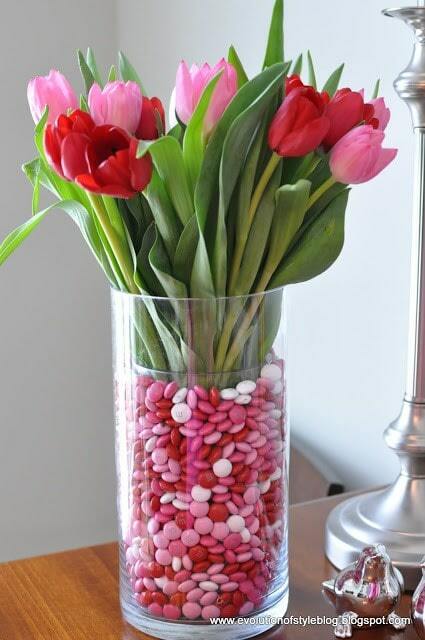 It's perfect for a centerpiece, of course, but what an awesome way to deliver flowers AND candy to someone you love?! 6. 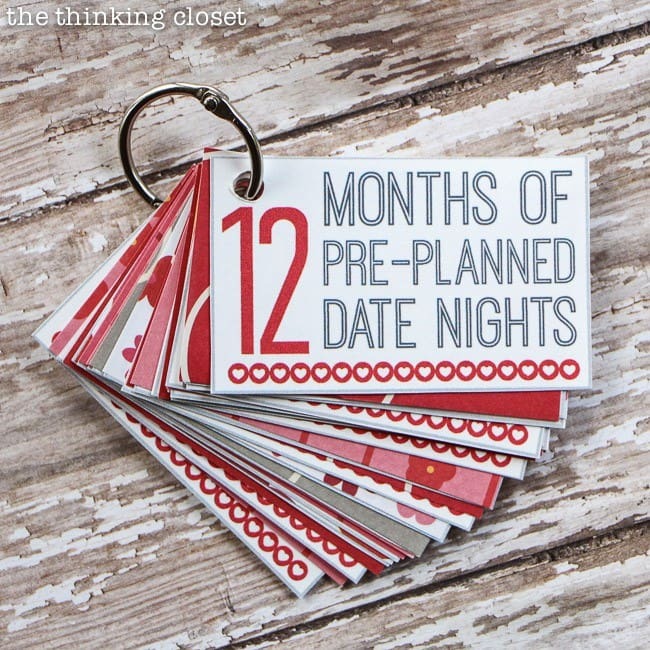 12 Months of Date Nights Gift by The Thinking Closet- This is GENIUS! We are all busy and if you are like my husband and I, you don't schedule date nights as often as you should. This adorable gift solves that problem. It's another incredibly thoughtful gift that your man is sure to appreciate. 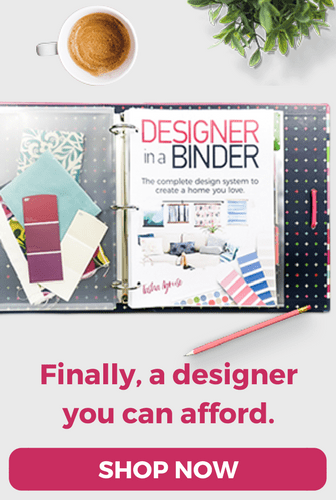 Check out the full post and FREE printables over at The Thinking Closet. 7. 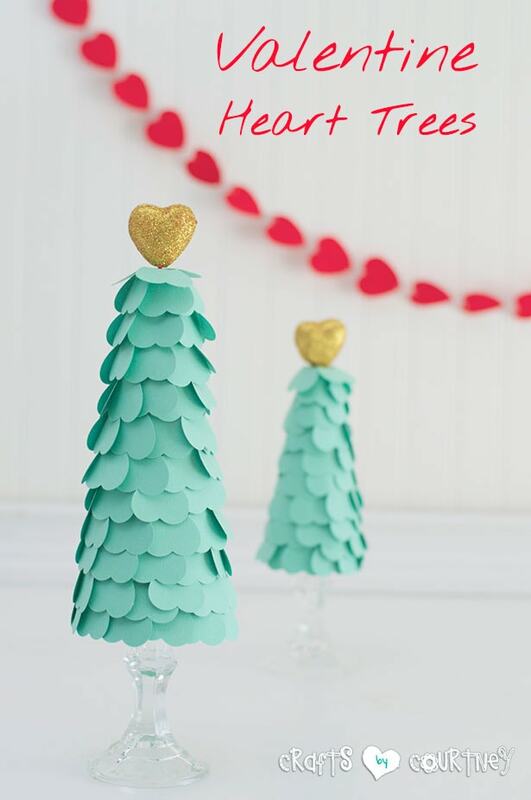 Valentine's Heart Trees by Crafts By Courtney– These DIY trees are adorable and would be a fun craft to make with your kids. 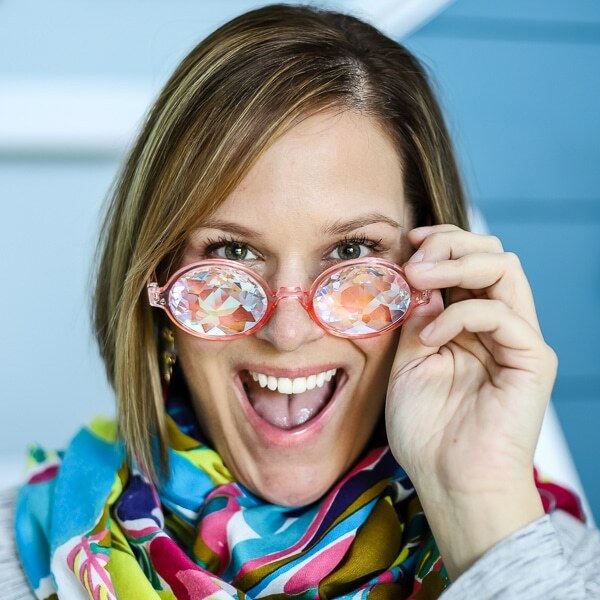 Check out the full tutorial by Crafts by Courtney. 8. Roll-Up Valentine Wreath by Place of My Taste– How FABULOUS is this gorgeous wreath made of rolled up pieces of scrapbook paper? I absolutely love it! Be sure to check out the full tutorial over at Place of My Taste. 9. 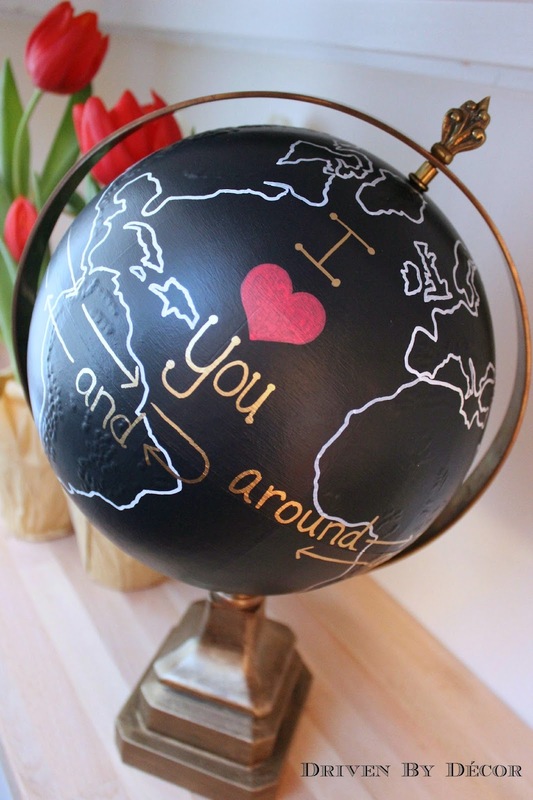 I Love You Upcycled Globe by Driven By Decor– If you have an old globe lying around, or if you see one for $3 at a yard sale, snap it up, grab some paint and make this ADORABLE globe. 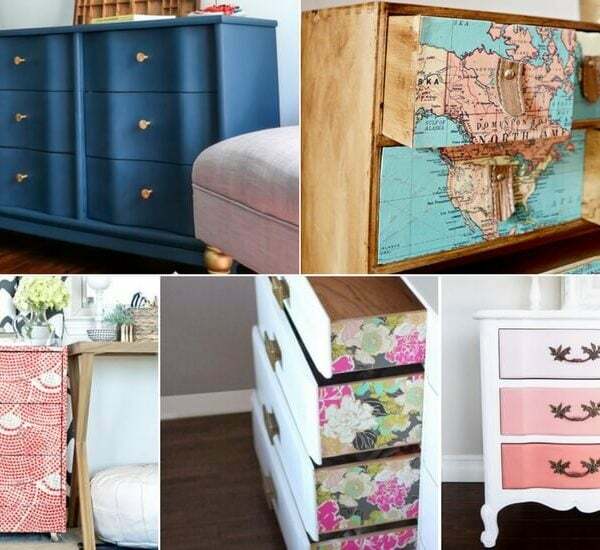 Totally genius idea from Driven by Decor! 10. 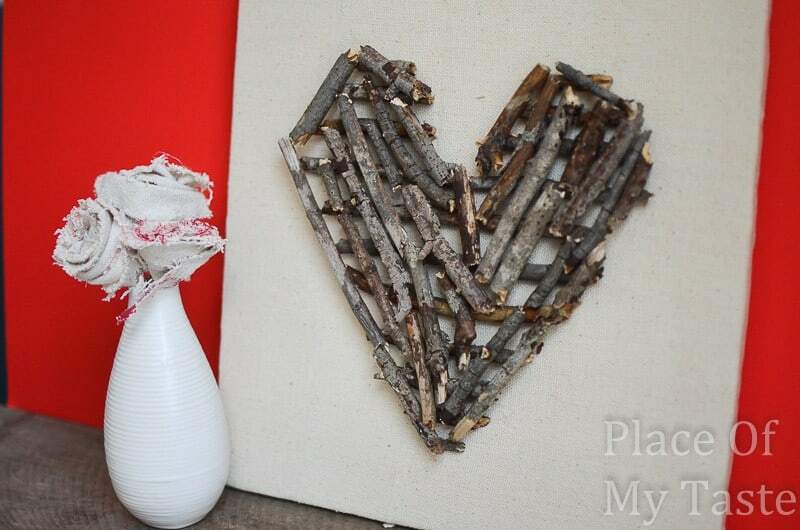 Heart Stick Wall Art by Place of My Taste– How simple and fabulous is this stick art by Place of My Taste? And who doesn't have access to sticks?! 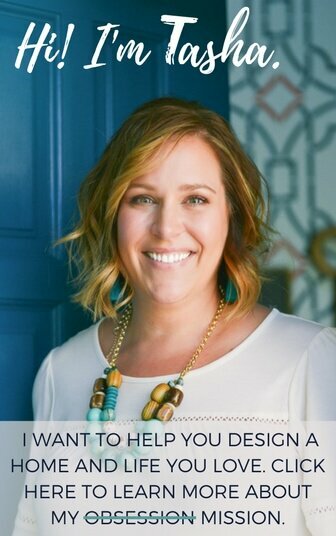 Honored to have my 12 Months of Date Nights Mini-Book Printable included in this inspirational mix. Thanks so much, Tasha! Hope your new year is off to a fantastic start, my friend. My pleasure, Lauren! LOVE that project! Happy new year! 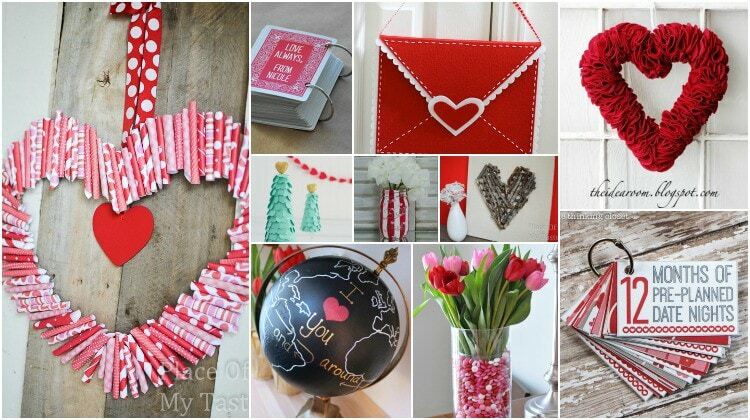 Wow Tasha thanks so much for including my Valentine Heart Trees in this awesome roundup!! I’ll be pinning and sharing for sure!! My pleasure, Courtney! I love your trees!! !